“What Dungeons and Dragons class should I play?” is the kind of question you could answer with a cursory quiz, but that would be a mistake. You owe it to yourself—and to your D&D dungeon master—to think holistically about character class, maybe the most important choice you’ll make in a D&D game. Picking the right class can mean the difference between a character you love and a character you cannot wait to bury in a pile of rocks. To have the best time playing D&D, we’ve made a guide to get you picking which class is right for you. People have jobs, but adventurers have classes. Class defines an adventurer’s skillset: Wizards do magic, druids interface with nature, and barbarians hit things. Not a job or an area of study, classes are more like occupations or callings. A bard, for example, might not get paid to play music, but they weave magical music-playing into their life and ambitions. Advancing in a class makes a player’s character more powerful and better able to affect change in the world. It broadens their skillset and better equips them to be heroes. Some players pick a class by flipping through the D&D Player’s Handbook until they find a picture they like. That’s fine, but you’ll have way more fun if you consider what role you want your hero to have first. Choosing a class before choosing your preferred role can lead to more “What would a typical barbarian do here?” moments than “How can I best express my character here?” moments. Think about how you want to participate in a D&D game, the kinds of things you want your character to do or what you want their personality to be. Do you want to lay low until an opportunity presents itself? Are you constantly ingratiating yourself with people? Are you obsessive about growing stronger? Are you charismatic enough to collect a cult? How will you interact with your party and with the world your Dungeon Master presents you? This will obviously change on a case-by-case basis, yet it’s helpful to have some guiding principles in your head. For example, there are lots of different kinds of wizards—innocent and bookish or megalomaniac and chaos-driven, for example—but also, characters of two classes can have the same role: a master tactician fighter and a master tactician wizard. It might help to think about fictional characters you’ve liked from books, movies or other games. How did they navigate the world? What made them special, and how did they use that to advantage themselves or others? I’ve made a wizard based of Howl from Howl’s Moving Castle before—he was volatile and vain, but got the job done with style. There are 12 basic classes in D&D: barbarian, bard, cleric, druid, fighter, monk, paladin, ranger, rogue, sorcerer, warlock and wizard. Reading through all of their entries in the Player’s Handbook is the only way to make sure you won’t have buyer’s remorse. It will also help you figure out which qualities and abilities speak to you. Just do it. We know it’s a lot of pages. Each class entry contains a lengthy introductory description of what each class is like, from the rage-filled barbarian to the divine acolyte clerics. Scanning those is a great first step for everyone, but especially, for players who love role-playing. The descriptions are evocative and help dismantle commonly-held stereotypes about each class—for example, that fighters are always boring old knights. Players who love combat might want to focus on the Player’s Handbook tables containing class features. Most classes offer branching specialization options pretty early on that help define their combat styles. For example, if you’re between, say, a fighter and a monk, but you think that the monk’s monastic tradition “Way of the Four Elements” option is cooler than any of the fighter’s options for martial archetypes, you might go with a monk. Each class has a primary ability that’s either strength, charisma, wisdom, dexterity, constitution or intelligence. Matching a primary ability to the general role you want to play is a great way to guide your class choice. For example, if you decided that you want to be a social engineer, you might want to pick a character who has high charisma. That way, it’ll be way easier for you to accomplish your manipulations. If you decided that you want to be a sneak, look for a class with dexterity as the primary ability. Below is a list of classes, organized by primary abilities alongside descriptions from the Player’s Handbook. Several classes appear in more than one category because they work will with any of two possible primary abilities. The first rule of D&D is that there are no hard-and-fast rules about D&D. If you want to play a monk who spent most of their time at the monastery translating archaic texts, give them high intelligence instead of dexterity or wisdom and see what happens. If you really like the warlock’s pact magic system and none of the wizard’s arcane traditions, then just ask your dungeon master what you can do. A lot of this stuff is meant as guiding principles, not mandates. By now, you should know what role you want to play, what primary abilities you like and have a good sense of what class can empower which playstyle. Now, let’s talk generally about each class. Barbarians are for people who enjoy combat strategy and high-adrenaline fights. They rely on instinct, pick fights and often put themselves in risky situations. Bards are for people who love to role-play and enjoy talking their way out of problems. They’re a good class for natural-born storytellers who don’t play D&D for the combat. Clerics are for people who love to have big goals and wield big weapons. They lean on D&D’s religion system to explore mortality and strong incentives for or against killing. Druids are for people who love animals, enjoy resourceful, magic-based solutions to complicated questions and want to stand up for what they believe in. Fighters are for players who enjoy experimenting with different combat styles and dealing lots of damage. Fighters are diverse—they can wield all sorts of weapons and come from all sorts of backgrounds—so they’re great for players who want to carve out their own path and not great for players who easily fall into role-playing ruts. Monks are for players who enjoy combining magic and physical strength, fighting only when it’s worth it, following cultural traditions and coming up with full and involved backstories. Paladins are for players who want to have lots of HP and risk themselves to selflessly protect their allies. They’re good for people who want to role-play a crusader against evil and deal with questions of morality. Rangers are for tactically-minded players who might enjoy role-playing loners, fighting from a distance and using the game’s landscape to their advantage. Rogues are for people who want to be the first to smell danger (i.e., sense traps), steal things, fight using precision and planning rather than brute strength and blur moral lines in role-play. Sorcerers are for people who may want to act impulsively, wield enormous power, weave an intricate backstory and customize their character’s personality based off a list of spells. Warlocks are for players who enjoy learning about D&D’s demons and interplanar beings, harboring secrets, and wielding great power. 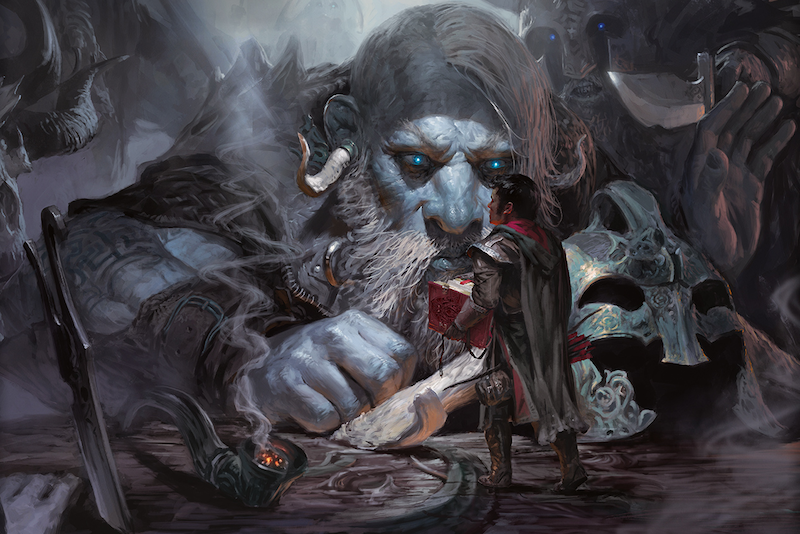 Wizards are for players who enjoy appearing intelligent (not necessarily being intelligent), piecing together repertoires of spells, and offering knowledge on a variety of topics. If you still don’t know what to play, there’s no shame in asking fellow players what they’re playing. Maybe they need somebody to round out the party. If there isn’t anyone to absorb enemy damage, for example, you can take on that role by playing a cleric, but find a creative and personal way to make that character feel like yours.